Exotic Car Shipping: How to Ship Your Luxury Car in the U.S. Exotic, luxury cars are a considerable investment that warrants protection. Shipping your awe-inspiring car to another state with an auto transport company requires an enclosed carrier and skilled cargo security measures. Our auto transport companies offer you the specialized services you need to load and transport your exotic car from one state to another. Do you need an estimate on how much it will cost to ship your car from one state to another? Simply fill out the information in our online shipping quote tool and you’ll have the dollar amounts you need to determine the required financial outlay. If this shipping quote is acceptable, a simple communication with your selected carrier company will get your transport plans rolling. Will the Auto Transport Company Drivers Drive My Exotic Car? A skilled driver will transport your car into the enclosed carrier and will drive your exotic car on a low-grade ramp. Auto transport companies for exotic cars have company-specific rules in place to protect the interior and exterior of your exotic car. Specialty drivers are often required to wear clothing with no zippers or buttons that may scratch the vehicle. The vehicles are handled with expert gloved-hands, and a temporary slipper is placed over the shoe or workboot before getting into the exotic car. Although our drivers are likely envious of your luxurious red Ferrari and probably dream about driving a two-million dollar 2017 Bugatti Chiron, they are strictly prohibited from driving your car any more than necessary to load and unload the specialty vehicle according to your shipping and delivery specifications. Our drivers are kept up to speed on the requirements needed keep your exotic car free from damage, but our carrier truck drivers can’t drive as fast as your car. So be realistic about delivery time frames. A 2017 Bentley Continental GT Speed can rev up to 200mph, but our auto carrier transport trucks stick to the speed limit. Semi-trucks average about 45 mph going uphill on the interstate. The 2017 Koenigsegg Agera RS that reached speeds of 273 mph will beat all of our auto transport carriers driving up hill. (We’re sorry to say that all 25 models of the Koenigsegg are sold out.) Your car may be sad being stuck in an enclosed truck going uphill on the interstate at such slow rates, but it will arrive at your shipping destination with full body protection using the services of our exotic car shipping auto transporters. When your exotic car is being loaded for shipment, the exterior and interior is protected. Auto transport companies specializing in delivering sports cars, luxury cars, and high-end classic cars use carefully selected plastic and cloth materials to protect your car. Your interior leather seats will be covered with plastic, as will your car windows. A blanket-type material will protect your doors. The tie-down process uses high-quality straps strategically placed through the tires to balance resistance and suspension. Your car will be securely loaded in the enclosed carrier, but have enough leeway left to reduce impact while traveling over highway constructions zones and newly formed highway potholes. Enclosed carriers in general carry between $750,000 – $5,000,00 on an insurance policy as required by Department of Transportation regulations for motor carriers. The chance of your enclosed carrier truck getting into an accident while shipping your exotic vehicle is low. In fact, longer term studies show that while commercial truck registration and highway miles traveled has increased, the number of fatal accidents involving large trucks (over 10,000 pounds) has been almost cut in half (44%). The same report showed that over a 16-year period, less than 1% (0.24) of claims against motor carriers hit the million-dollar mark. The average claim was $3,600 between 1996 and 2012. Our specialty enclosed car carriers are bonded and meet or exceed Department of Transportation Federal Motor Carrier Safety Administration requirements. Our vehicle loaders are fully trained to protect the luxurious interior and enviable body of your exotic car. Your high-performance and luxury car is safe transported inside our enclosed car carrier. Speedy service can be logistically difficult during seasonal demands. When you use our instant shipping quote tool to see how much it costs to ship your exotic car to another state, you may get different prices for the same distance, merely because you changed the date of shipping. It’s like flying. Tickets to travel are higher during the holidays and prices are lower when there’s no interest in traveling. If you ship your exotic car to meet and greet you at your sunny California, Texas or Florida home, you might be able to avoid traffic-jam related delays in deliveries by deciding to ship in the fall instead of in the winter months when all the Snowbirds head south, otherwise, prepare yourself with a window for delivery. Our auto transport companies will always work with you to accommodate your schedule. When you fill out the shipping quote with your departure and destination information, you’ll be able to see how much it will cost to ship your exotic car according to your scheduling requirements. Get an instant quote to see how much it will cost to transport your car on your desired dates. Confirm availability for shipping your exotic, luxury car on the scheduled dates. 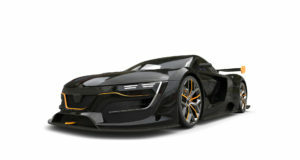 Ask the enclosed-carrier transport company how to prepare your exotic car for shipping. View the car carrier’s certificate of insurance. Visit the Federal Motor Carrier Safety Administration (FMCSA) website to confirm registration and insurance. Confirm exact dates, meeting places and arrangements for pickup and delivery of your vehicle. See if door-to-door service is available in your location. Review, sign and submit final agreement with the auto transport company. Wax your car to protect it during shipping procedures. Take pictures of your exotic car when the car carrier company picks up your car. Take pictures of your exotic car when it arrives. Go out for a reviving drive! Ready to Ship Your Exotic Car? Our professional skilled auto transport drivers are ready and trained to ship your exotic, luxury car to another state with a mastery of luxurious car care. Start with a quote to speed up the performance of getting your exotic car shipped to another state. The faster you make arrangements to ship your car, the sooner you can go out for a drive. We’ll get your exotic car transported safely down the highway to your new state with our high-performance team. We’ll skillfully unload your car, and you can wave to your new neighbors as they watch enviously of you going for a drive in your newly moved exotic car.